80pc illegals got MyKad via fraud | Daily Express Online, Sabah, Malaysia. Tuaran: Some 80 per cent of illegal immigrants in Sabah obtained their MyKad through fraudulent means, according to Deputy Chief Minister Datuk Seri Wilfred Madius Tangau (pic).Reiterating his stand on recalling MyKads in Sabah, Tangau who is also United Pasok Momogun Kadazandusun Murut Organisation (Upko) acting president said the party had previously conducted a research on illegal immigrant settlements in the State. "During the study, these immigrants told us how they got their identification cards (ICs)," he said after officiating the Lotud Borneo Museum, here, Saturday. "Some were given the ICs without them asking for it…and this means some of the genuine ICs issued by the National Registration Department (NRD) were given to recipients who were not qualified. And that is why Upko has been calling for the recalling and reapplication of ICs in the State." 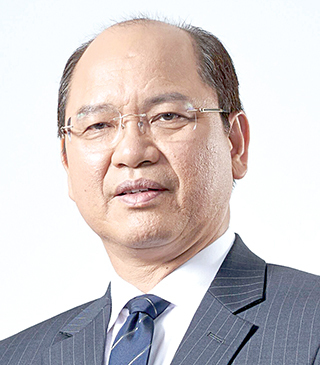 Describing Parti Warisan Sabah deputy president Darell Leiking's statement on the proposal of the issuance of Sabah IC as "bold", Tangau said the issue is "special and close to our hearts." "For Upko, this is something which we have been pursuing all along and we continue to pursue until it is materialised…and it is something that has to be done," he said. Leiking, on Saturday, was reported as saying that he hoped to see his proposed Sabah IC materialise under the new Warisan-led State Government. He also reiterated that he was not proposing for the recall of MyKads, but the issuance of an additional IC for genuine Sabahans. Such measure, he said, would create some form of screening for Malaysian citizens in Sabah. Tangau is of the view that the process of recalling and reissuing MyKads can be done as the Malaysian identification cards have been changed many times before. Recently, Minister in the Prime Minister's Department Datuk Liew Vui Keong had said such process would be too complicated. Liew said, if Sabah start talking about it, then other states in Malaysia will also be asking for their own ICs as well. Meanwhile, Tangau, who is also Trade and Industry Minister commended the efforts of the Sabah Lotud Chamber of Commerce and Industry on setting up a museum to further deepen the understanding on the ethnic group's culture. "The idea is good and should be emulated by other ethnic groups in the State. "The museum will be a source of educational reference not only for the Suang Lotud community but also others." He also urged schools to conduct visits to the museum to expose students on the Suang Lotud culture. "It is important for the young generation to know and understand the culture of others," he said. The museum, he said, can also be a tourist attraction which will boost the revenues generated in the district. Tangau said his Ministry would continue to work closely with the chambers of commerce and industry in the State to produce more local entrepreneurs. "To date, the ministry managed to produce more than 1,000 entrepreneurs who have their own products and some of them were even marketed abroad. "The ministry plans to create a trade and industrial community in the State where they will focus on generating wealth, employment and products." During the event, Tangau also officiated the closing ceremony of the Suang Lotud Traditional Costume Workshop where it was attended by tantagas (Suang Lotud ritual specialists), elders, community leaders and Native Courts officials.